Throughout the world there is great relief and optimism about the nuclear deal reached in Vienna between Iran and the P5+1 nations, the five veto-holding members of the U.N. Security Council and Germany. The NPT, in turn, is the most important arms control treaty of all. If it were adhered to, it could end the scourge of nuclear weapons. Turning to the next obvious question, what in fact is the Iranian threat? Why, for example, are Israel and Saudi Arabia trembling in fear over that country? Iran’s military spending, for instance, is a fraction of Saudi Arabia’s and far below even the spending of the United Arab Emirates (UAE). Altogether, the Gulf Cooperation Council states — Bahrain, Kuwait, Oman, Saudi Arabia, and the UAE — outspend Iran on arms by a factor of eight, an imbalance that goes back decades. The CSIS report adds: “The Arab Gulf states have acquired and are acquiring some of the most advanced and effective weapons in the world [while] Iran has essentially been forced to live in the past, often relying on systems originally delivered at the time of the Shah.” In other words, they are virtually obsolete. When it comes to Israel, of course, the imbalance is even greater. Possessing the most advanced U.S. weaponry and a virtual offshore military base for the global superpower, it also has a huge stock of nuclear weapons. The way Iran “fuels instability” can be seen particularly dramatically in Iraq where, among other crimes, it alone at once came to the aid of Kurds defending themselves from the invasion of Islamic State militants, even as it is building a $2.5 billion power plant in the southern port city of Basra to try to bring electrical power back to the level reached before the 2003 invasion. It might also be useful to recall — surely Iranians do — that not a day has passed since 1953 in which the U.S. was not harming Iranians. After all, as soon as they overthrew the hated U.S.-imposed regime of the Shah in 1979, Washington put its support behind Iraqi leader Saddam Hussein, who would, in 1980, launch a murderous assault on their country. President Reagan went so far as to deny Saddam’s major crime, his chemical warfare assault on Iraq’s Kurdish population, which he blamed on Iran instead. When Saddam was tried for crimes under U.S. auspices, that horrendous crime, as well as others in which the U.S. was complicit, was carefully excluded from the charges, which were restricted to one of his comparatively minor crimes, the murder of 148 Shi’ites in 1982 — a footnote to his gruesome record. It is only fair to add that there have been breaks in this pattern. President George W. Bush, for example, offered several significant gifts to Iran by destroying its major enemies, Saddam Hussein and the Taliban. He even placed Iran’s Iraqi enemy under its influence after the U.S. defeat, which was so severe that Washington had to abandon its officially declared goals of establishing permanent military bases (“enduring camps“) and ensuring that U.S. corporations would have privileged access to Iraq’s vast oil resources. 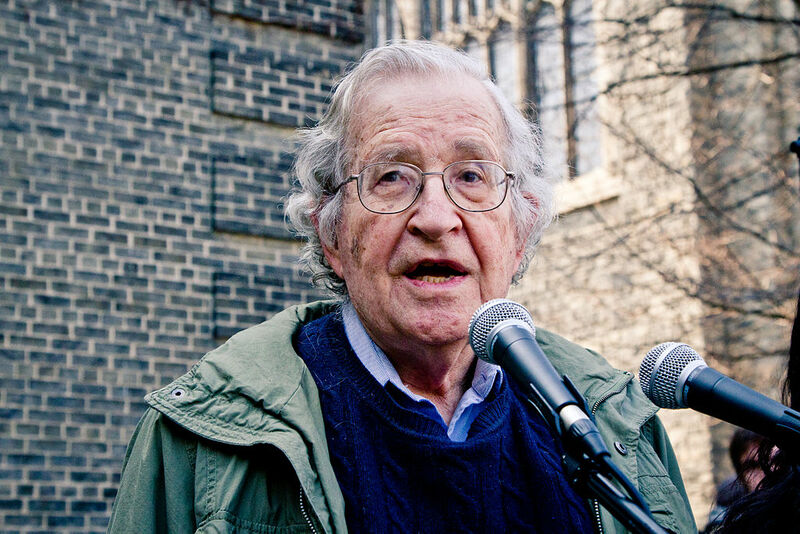 Noam Chomsky is institute professor emeritus in the Department of Linguistics and Philosophy at Massachusetts Institute of Technology. A TomDispatch regular, among his recent books are Hegemony or Survival, Failed States, Power Systems, Hopes and Prospects, and Masters of Mankind. Haymarket Books recently reissued twelve of his classic books in new editions. His website is www.chomsky.info.